Hi everyone! I would love to share this cute altered canvas tutorial with you over on the Ann Butler Designs Blog today. I really enjoy working with Ann's vivid inks and Faux Quilting Stamps. 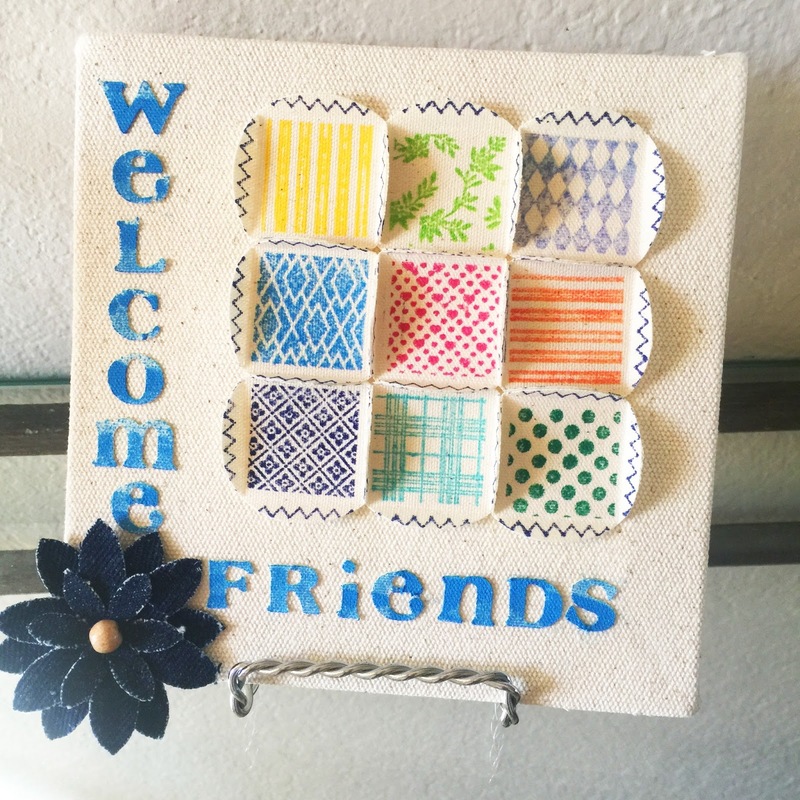 This little altered canvas greets friends at the front entrance of our home. Click here to check out the tutorial on Ann Butler Designs blog.